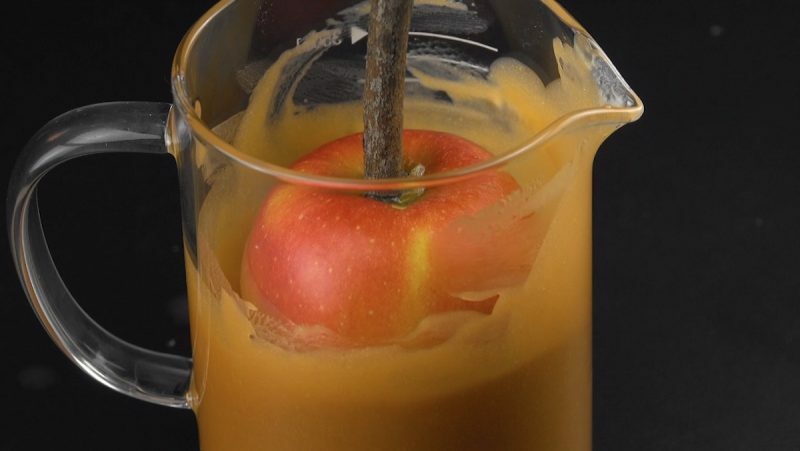 Caramel apples evoke wonderful childhood memories spent at the state fair or local carnival – there was nothing better than that first bite into the soft, chewy caramel layer, followed by the refreshing taste of a crisp, tart apple. And you didn't have to worry about breaking your teeth, like you might with a candy apple! Yes indeedy, caramel apples were always the superior sweet apple treat. Which is why we decided to kick things up a notch and make an entire chocolate cake centered around the beloved fair food. 1. Preheat the oven to 350°F and get started on the cake. Beat the eggs and sugar until frothy. 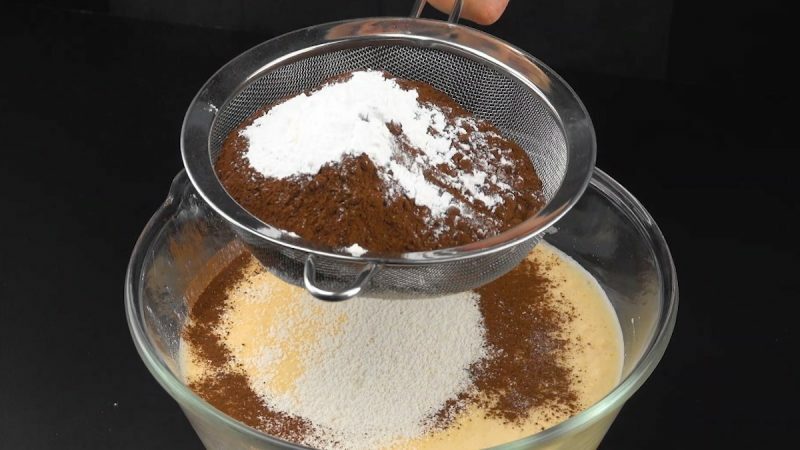 Pass the flour, cocoa powder, and baking powder through a sieve, and add to the egg and sugar mixture. Then stir in the melted butter, vanilla extract, and ground almonds. 2. 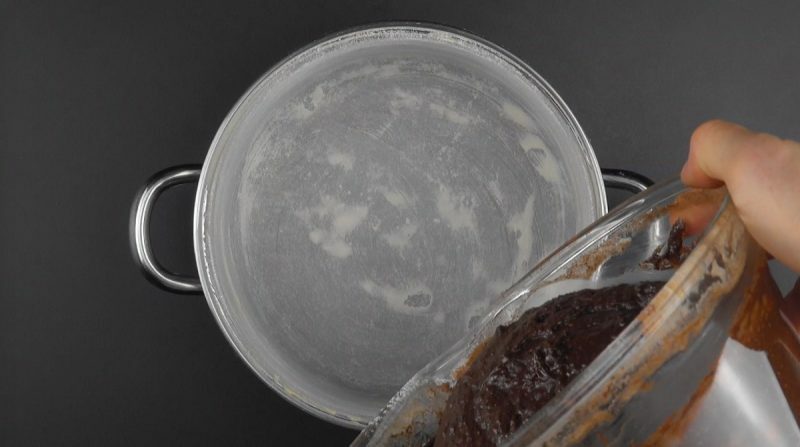 Grease a 7-inch pot with butter and lightly flour the surface. Pour the cake batter into the pot, cover with a lid, and bake for 60 minutes. 3. 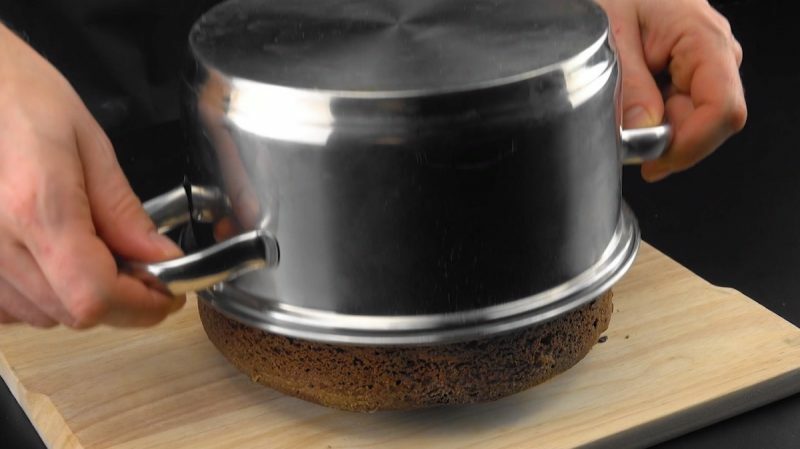 Let the pot cool for about 10 minutes after removing from the oven and then tip the cake out onto a wooden board. Leave the cake upside down and let it cool completely. 4. 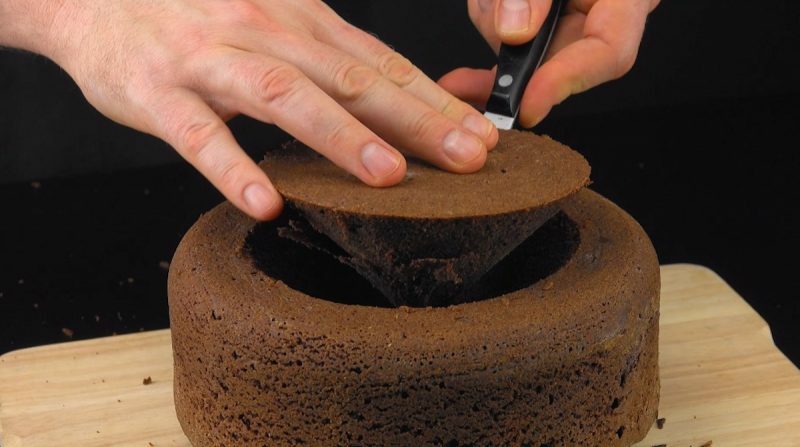 Place a 5-inch bowl in the center of the cake, trace around it, and cut a cone out of the cake. Set the cone piece aside for now and hollow out the cake hole. 5. 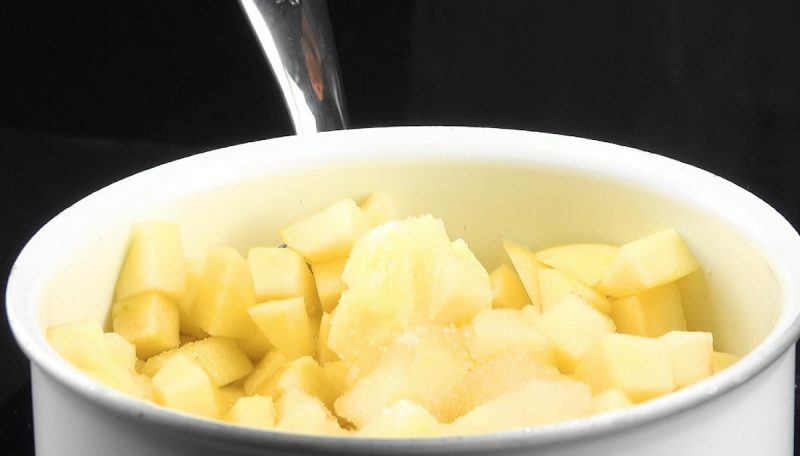 Now get started on the apple compote. Peel and chop three apples, add them to a saucepan with the sugar, apple juice, and pinch of salt, cover with a lid, and cook for 15 minutes. 6. 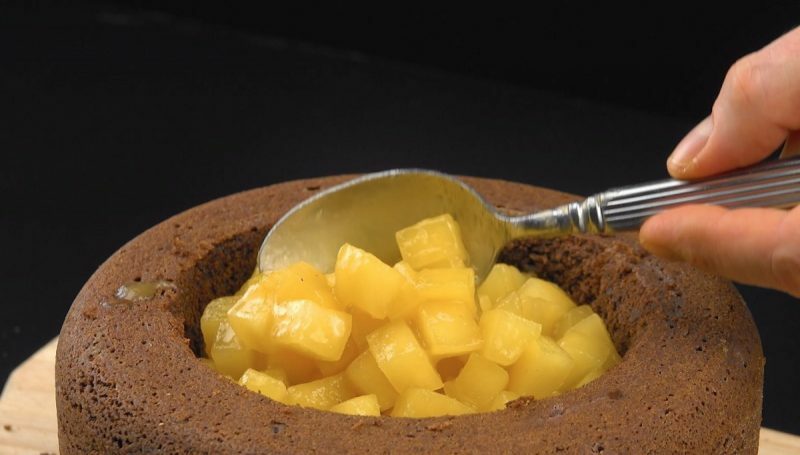 Once the apple compote has cooled, spoon it into the cake hole and cover the hole with cake cone piece. 7. For the buttercream frosting, beat the butter and powdered sugar, and then stir in the cocoa powder, salted caramel topping, and cream cheese. 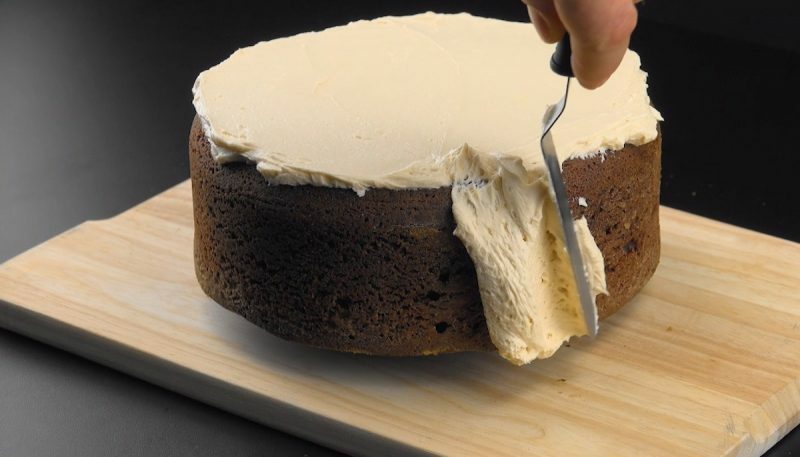 Spread the frosting over the entire cake and refrigerate for 1 hour. 8. While the cake chills, prepare the sauces. For the chocolate ganache, heat the cream in a pot, add the chopped chocolate, and stir everything until smooth. For the salted caramel sauce, boil the water and sugar on high until golden brown. Add the cubed butter, salt, and cream and stir everything together. Bring the mixture to a boil, remove the pot from the stove, pour the salted caramel in a tall container, and let it cool completely. Pour the chocolate ganache on the cake and let it run down the sides. 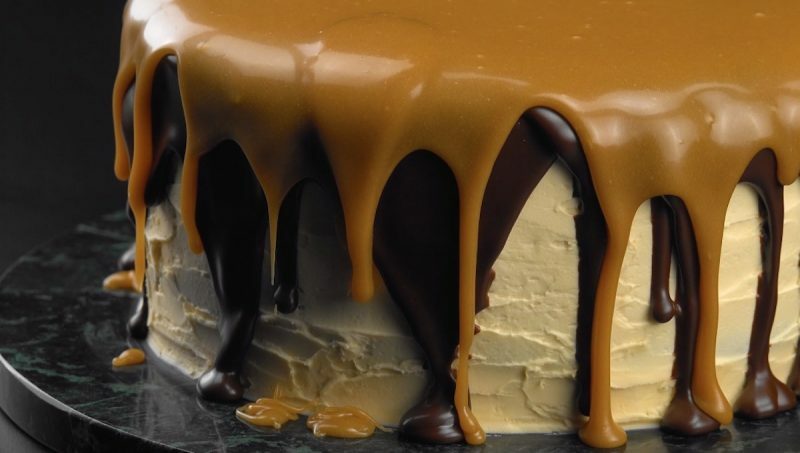 Refrigerate the cake for 30 minutes, and then pour the salted caramel sauce over the chocolate ganache. Make sure to leave enough caramel sauce for the next step. 9. Spear 3 apples with a small wooden stick, and then dunk each apple about halfway into the remaining salted caramel sauce. 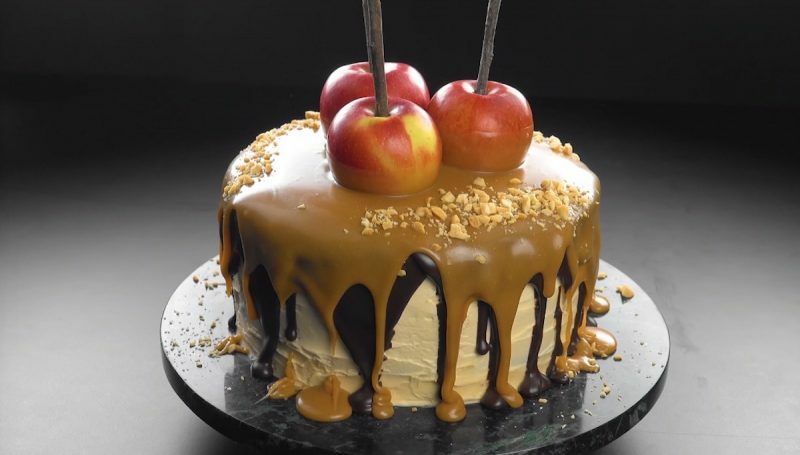 Nicely arrange the apples on the cake – the caramel sauce will ensure that they stay put. 10. Sprinkle chopped, salted peanuts over the top of the cake and chill for about 10 minutes before serving. This spectacular cake might take a bit more prep than you're used to, but the effort is well worth it. The combination of salted caramel, chocolate, and fruit is simply heavenly. You can find the recipe for the Caramel & Apple Tart featured in the bonus video here.